Avenue Center planned for Irvington Blvd. site. HOUSTON – (By Dale King, Realty News Report) – Avenue, a local nonprofit group dedicated to building affordable homes and strengthening communities, has unveiled plans to develop Avenue Center, a new mixed-use community resource hub across from Moody Park in Near Northside, one of the pilot neighborhoods included in Mayor Sylvester Turner’s Complete Communities initiative. Avenue’s proposal to build the center got a major boost when the city of Houston announced it is one of four area projects to share a $6.5 million pledge from the United Arab Emirates (UAE) to support Hurricane Harvey recovery efforts focused on community revitalization, homelessness, library services and public health. The nonprofit organization is slated to receive about $2.6 million from the UAE allotment. Currently in the midst of a capital campaign, Avenue has also raised more than $2.1 million for the project through public and private funding sources, including a number of foundations and other financial providers. 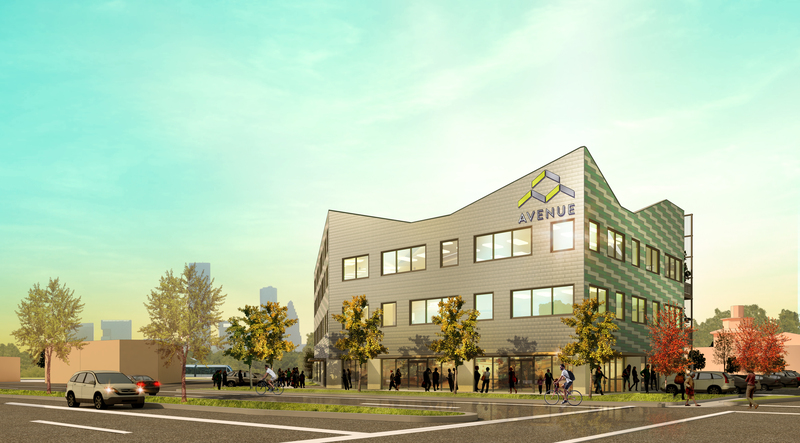 “We are thrilled to unveil our plans for Avenue Center, a new mixed-use community complex designed to meet the needs of Near Northside residents,” said Mary Lawler, Avenue’s executive director. The three-story development to be built at 3527 Irvington Blvd. will feature about 30,500 SF of community programming space, including Avenue’s headquarters, a realty office and Home Ownership Center, along with a health clinic and an early childhood education center to address a shortage of such facilities for young learners in the Near Northside area. Lawler said Avenue Center is expected to open in early 2020. In recent years, Avenue has built 900 affordable homes and apartments in Houston, specifically in the greater Northside community.